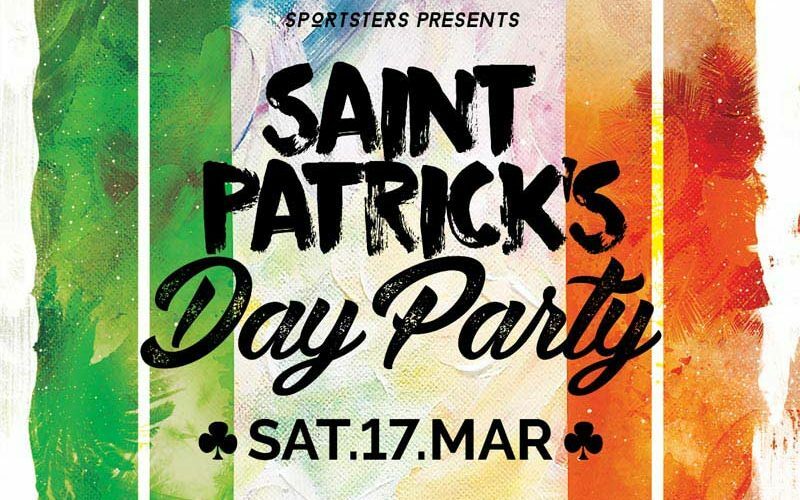 This St Patrick’s day we are kicking off at 12:30pm when Scotland face Italy in the 6 Nations. Then throughout the day we will be offering some Irish Shenanigans and promotions! This Valentine’s Day, we’re celebrating love in all forms. Whether you want to heat up your evening with a loved one or gaze into the eyes of your favourite footballer, we’ve got you covered! 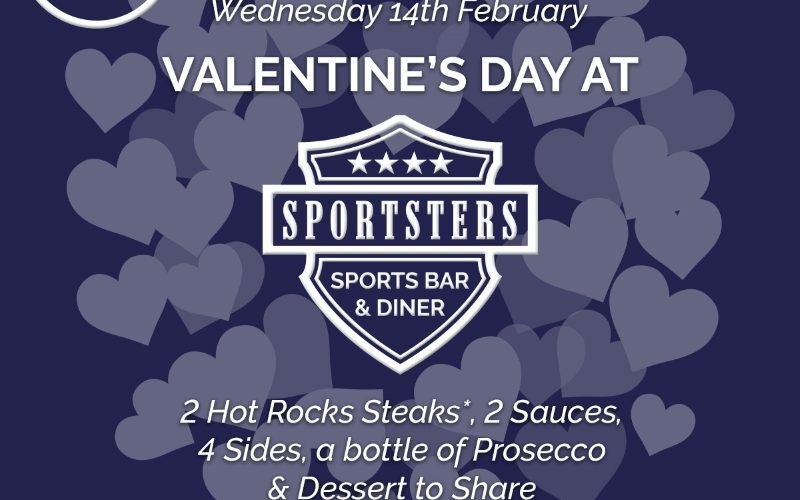 For couples, groups, or besties, you can take advantage of our hot rock steak offer. Just £25pp for two steaks, two sauces, four sides, a bottle of Prosecco, and a dessert to share! Be careful, things are bound to get steamy! If you’re flying solo this year, don’t worry, we’ve not forgotten you! We’ve got live Champions League action on the 13th and 14th of February as well as Europa League football on the 15th. As part of that, we’re offering two burgers and two beers for just £20, perfect for sharing with your mate whilst enjoying the matches. To book, visit our website or call 01324 673220. 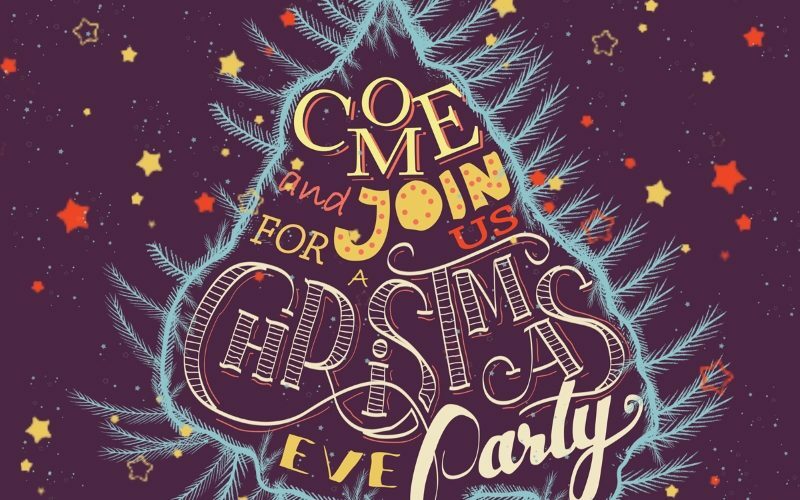 Come see in Christmas here at Sportsters with our Christmas Eve Party! We’re open from 12pm, so come in and enjoy some food and drinks with family and friends throughout the day. You can then party until 4am on Christmas morning with festive cheer aplenty! We’ll have a live DJ and it’s FREE entry all night. Sportsters goes back to its roots to bring you a Halloween special, Horror in Hollywood! 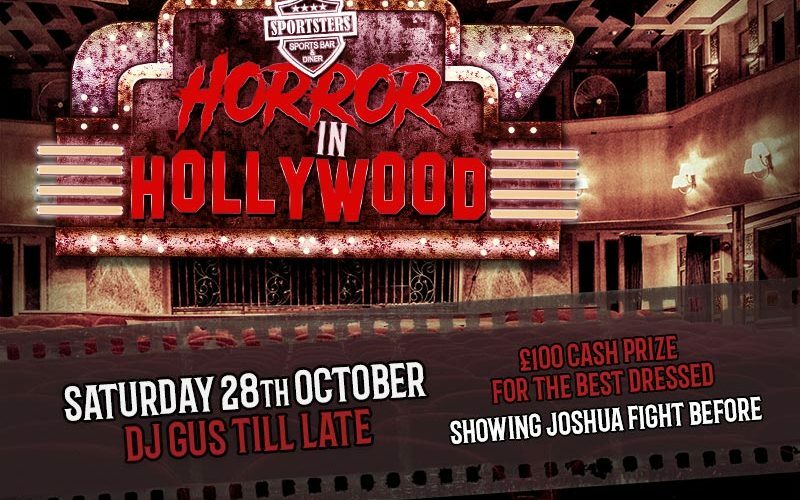 We’ll have a makeover for the evening with Hollywood & Cinema style touches and our ushers will be taking extra special care of you… DJ Gus will also play some classic Halloween tunes from 10pm ’till late! 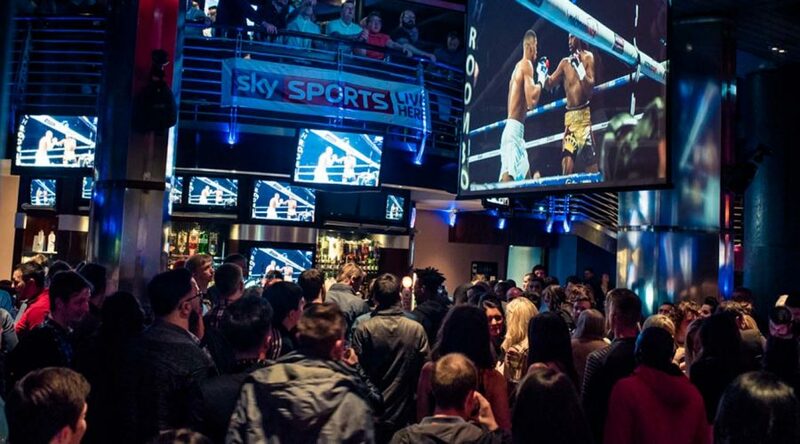 Sportsters to give away £650 cash this Thursday! 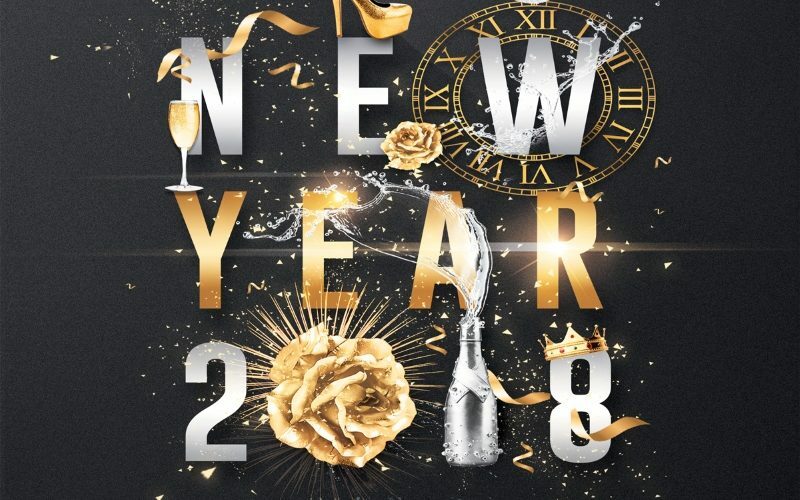 Sportsters has been saving up for this moment since the turn of the year. We’ve put cash aside each week and been building up a lovely jackpot to give away, perfectly timed for Summer! The quiz winners this Thursday will receive a huge £550! On top of this, we’ll be giving away £100 at Rock N Roll Bingo, meaning there is a total of £650 up for grabs. 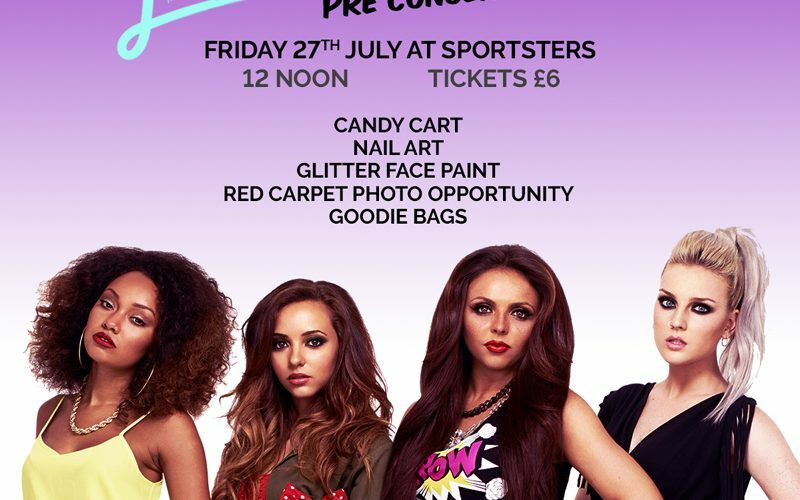 The best bit about all this, our quiz is completely free to enter. 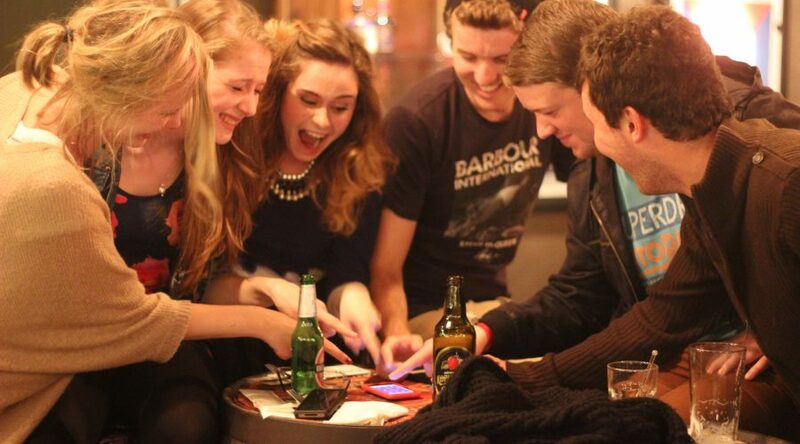 Yes, that’s right, the UK’s largest smartphone pub quiz is entirely free to enter! The quiz starts from around 21:30, but we advise getting in early to get the best seats in the house. You can also call to book on 01324 673220 but be sure to mention you’re looking to stay for the quiz. Sportsters is delighted to launch a fantastic new main menu, just in time for Summer. 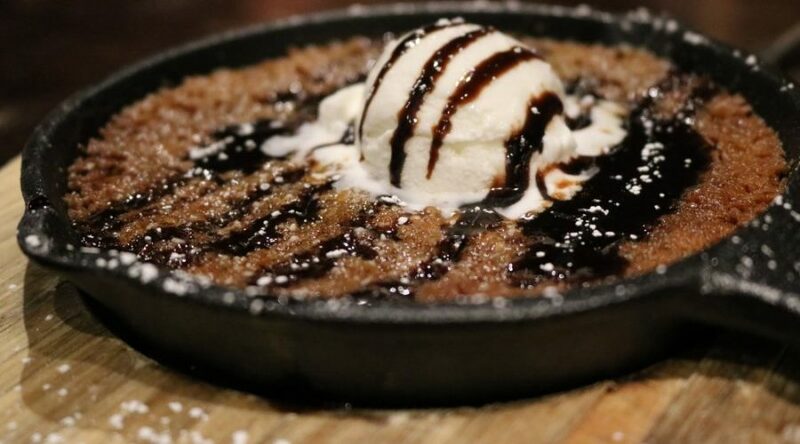 With that in mind, we’ve added a number of new dishes that are perfect for the warmer weather. Plus, we’re delighted that our menu will also include a new wine offering with our staff happy to help with suggestions. While maintaining some favourite dishes such as Cajun Chicken Crepes and Burgers, we’ve added a variety of new dishes for each course. This includes starters such as Beer Soup, Garlic & Chilli King Prawns, and Grilled Halloumi with Med Veg. New mains include some classic dishes such as Mussels, Pork Belly, and a Brisket Sandwich. Finally, we’ve got a variety of new desserts such as Hot Homemade Cookie Dough, Nutella Belgian Waffles, and Cranachan, Raspberry & Drambuie. Daniel McCue, Manager of Sportsters, said: “We’re thrilled to launch our brand new menu today. It has been months in the making with a lot of hard work from our team but we’re delighted that it’s now time to show what we’ve accomplished. The menu launches today at 12pm and you can book in to try it by clicking here.